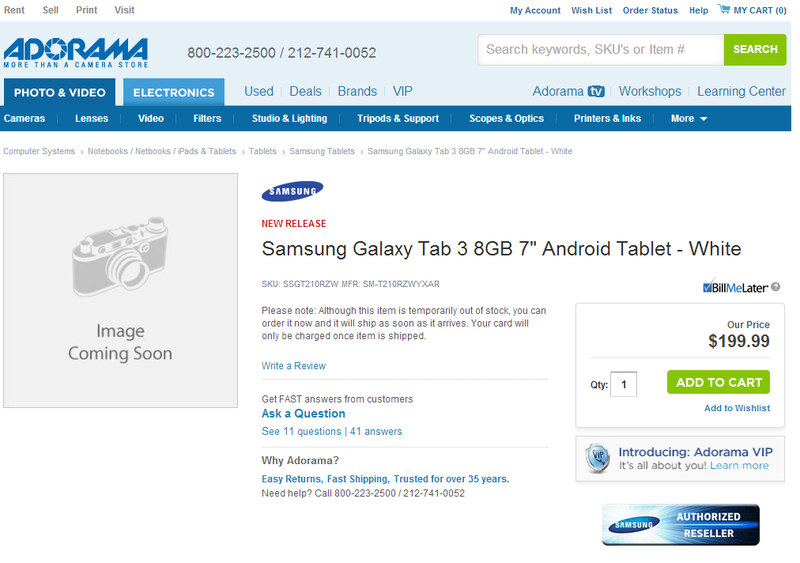 Retailer adorama posted the first price online of the Galaxy Tab 3 7.0. They want to sell the Galaxy Tab 3 7.0 from $199 dollars. Which is very cheap what sounds great for us. The Galaxy Tab 3 7.0 runs Android 4.1.2 Jelly Bean (Upgradable to Android 4.2.2 later). Some specifications of the Galaxy Tab 3 7.0 are: 7.0” TFT display, 1.2 dual-core processor, 8 GB, 3 megapixel back camera, 1.3 megapixel front camera, AGPS and Wi-Fi.